A recently-released briefing for the Minister of Communications and IT notes the economic importance of digital content creation and the concerns from from users that copyright laws “discourage the development of new digital content and innovation, and protect out-dated business models”. The briefing was prepared for the incoming Minister of Communications and IT Minister Amy Adams in December 2011. It says the IT policy team wanted to work with the Ministry of Commerce on “whether the 2008 amendments encourage the appropriate balance between protecting intellectual property holders’ rights to encourage innovation while ensuring there is good access and opportunities to use information on the internet, which is also important for innovation”. The 2008 amendments to the Copyright Act made a variety of changes to “to reflect current advances in digital technology”. Its proposed processes and penalties for file sharing were the subject of protests which led to an amendment of the act. The Minister’s office has indicated that the work proposed in the briefing has not started and is not on the Minister’s agenda. 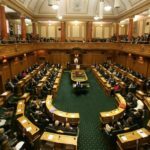 New Zealand has been involved in international negotiations over copyright issues in the ACTA treaty and the Trans-Pacific Partnership. Although the TPP is still under negotiation there are fears both would lead to more restrictive intellectual property laws. 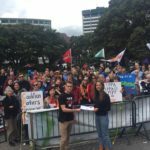 New Zealand has signed ACTA but it has yet to be ratified in any country and may not come into force. This week it was rejected by the European Parliament. Earlier and Australian select committee recommended delaying ratification. 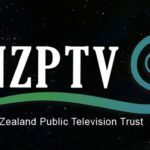 The New Zealand Creative Freedom Foundation has a summary of its concerns with the TPP as suggested by leaked drafts and the US negotiating position. This briefing provides an introduction to the communications and information technology portfolio and summarises key areas of policy and major policy issues.